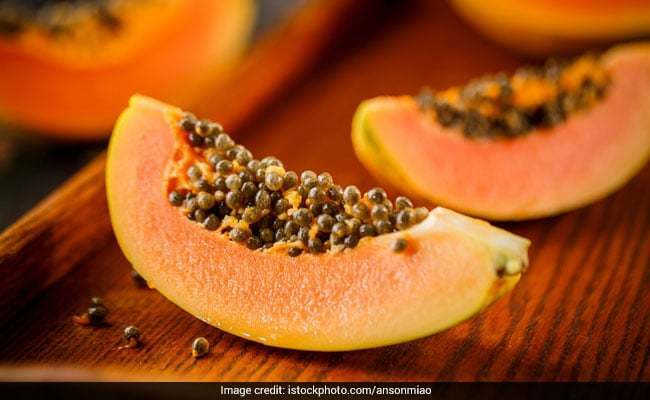 NDTV Doctor, Healthline, and MedicalNewstoday reveal the benefits of using papaya so-called angels fruits. Papaya is rich in valuable nutrients and has a delicious taste. Its powerful antioxidants like lycopene may reduce your risk of many diseases — especially ones that tend to come with age, such as heart disease and cancer. Moreover, papaya controls the production of oxygen-free radicals that can cause harm to the body and health. Papaya has a tonic effect on the stomach and intestines. The fruit contains the digestive enzyme papain that aids in digestion. Moreover, it is a rich source of fiber which helps to prevent constipation. While hope is good (wonderful in fact, and necessary)If you use this fruit so often, you will experience freedom, Lose weight, stay healthy, and live fully. And freedom is a beautiful thing indeed! Follow is your free report: Five ways to lose weight quickly, download it and keep it.